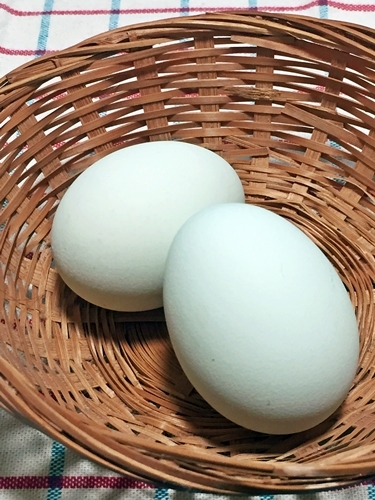 I bought a blue shell eggs that one kind of chicken “Araucana” . actually It was expensive, but I had interest about that. 10 commonly chicken eggs is about 2$ here, but It was 2$ for one egg! Araucana is domestic chicken from Chile, I heard. 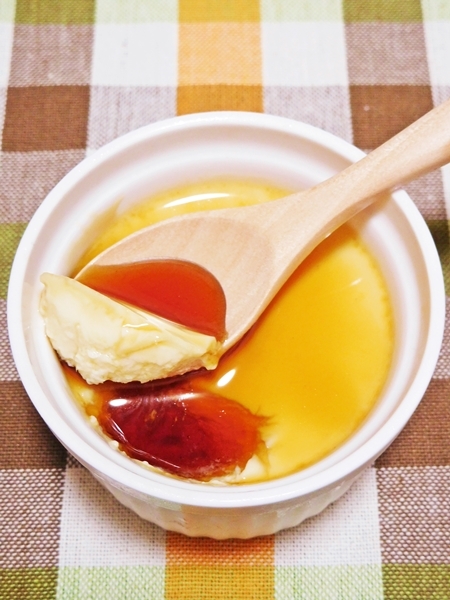 I used it to make a custard pudding. The recipe posted at the bottom of the article. 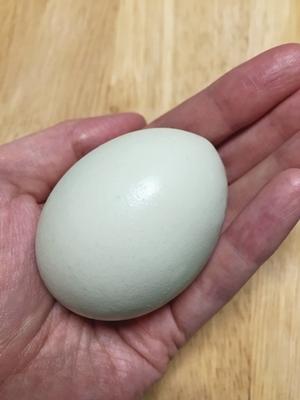 The egg little bit small size. 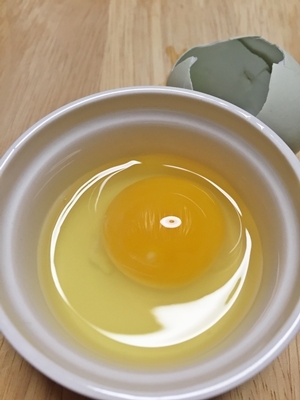 The egg yolk was thick. Do you know rice with raw egg? 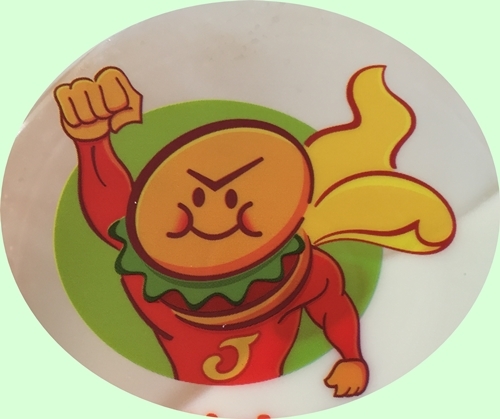 because Japanese egg is very safety. unfortunately I don’t like rice with raw egg. 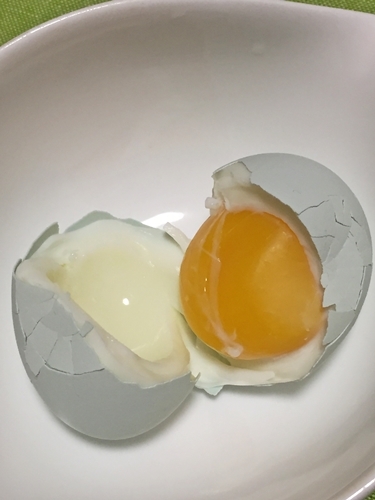 so, I tried Soft-boiled egg. 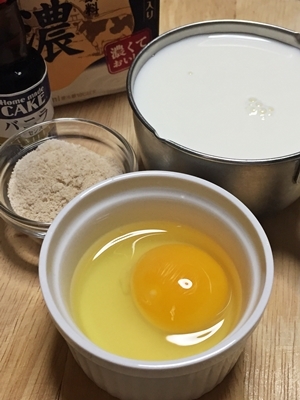 How to make 2 Japanese custard pudinng for one egg. 砂糖・・大さじ1 / one TBSP sugar. 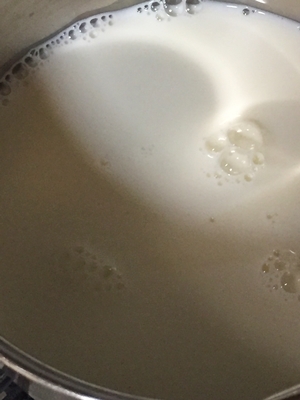 牛乳・・1カップ / 200 ml whole milk. 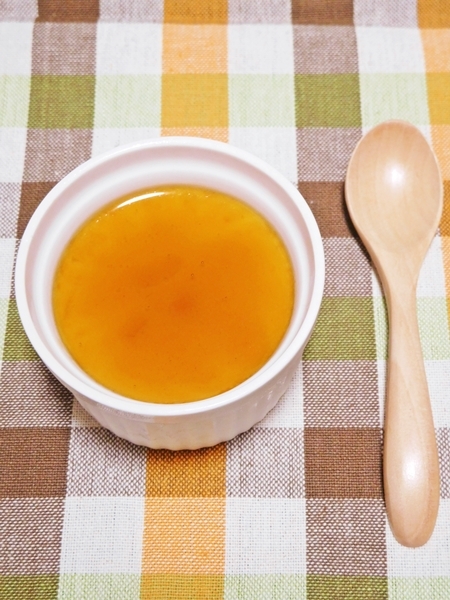 バニラエッセンス・・少々 / little bit Vanilla extract. 砂糖・・大さじ3 / 3 TBSP sugar. 水・・大さじ1.5 / 1.5 TBSP water. 湯・・大さじ３ / 3 TBSP boiled water. 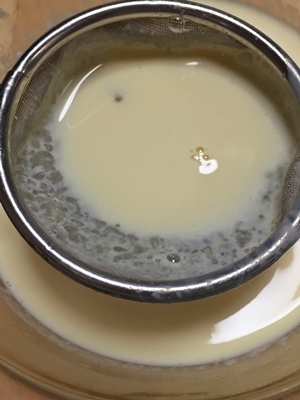 A sauce pan into the milk, then heat milk until just before boiling, add sugar melting. 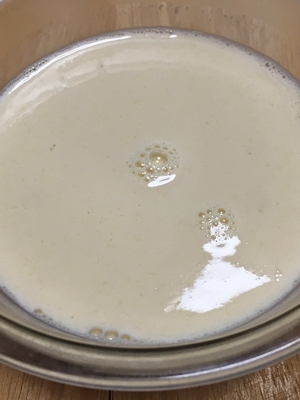 A bowl into the beating eggs,and vanilla extract, then hot milk pour little by little and very slowly whisk together. avoid eggs curdling by strainer. Pour the mixture over the pudding cups. In an another sauce pan, place pudding cups, and pour hot water around the cups about 3/2 up the side of the cups. The sauce pan with lid heated over medium heat 3 minutes, then heated over low heat about 10 to 15 minutes, then turn off the heat 10 minutes steamed. Refrigerate at least 3 hours or preferably overnight. Enjoy! 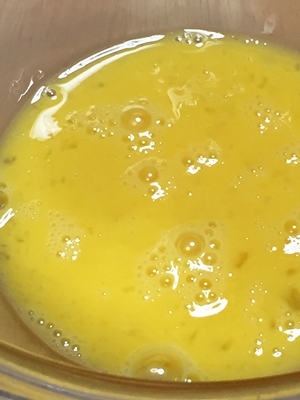 In a pan, put in sugar and water, but do not stir. Put it on the stove at medium heat until the water and sugar turns to slight dark brown. Pour the boiled water into the pan (Be careful ) then stir by low heat.